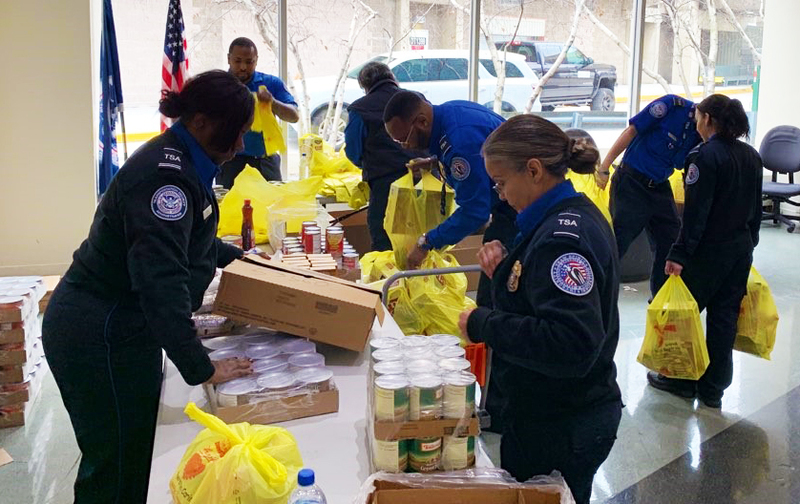 As the partial government shutdown drags on, local Transportation Security Administration (TSA) workers are getting some much-needed help thanks to the Archdiocese of Philadelphia. 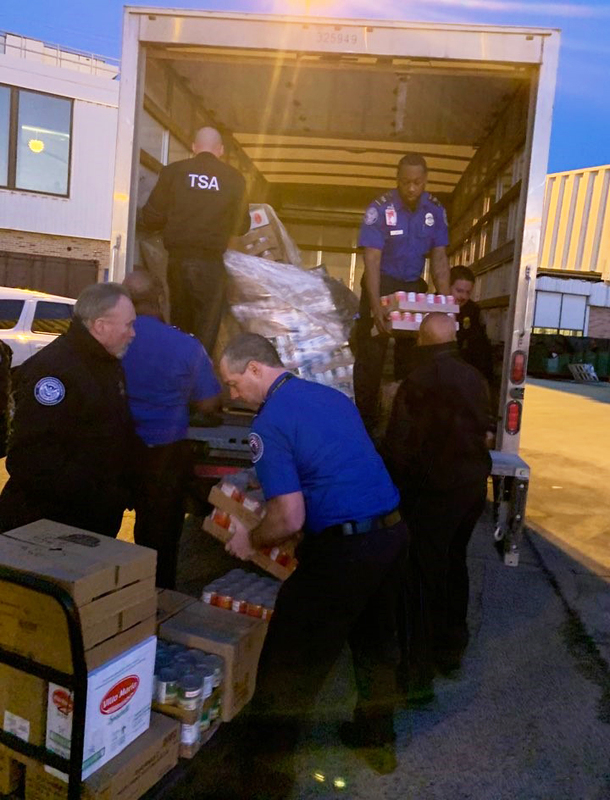 On Jan. 16, Catholic Social Services (CSS) and Nutritional Development Services (NDS) donated several pallets of staple food items, along with household goods and diapers, to more than 750 TSA workers based at Philadelphia International Airport. The federal employees have worked without a paycheck since Dec. 22 as the Trump administration and Congress remain in a standoff over the former’s demand to allocate more than $5 billion in funding for a wall along the U.S.-Mexico border. President Trump recently signed a bill that eventually will guarantee the federal workers’ back pay, but for many, the gap between now and then is wide — and worrying. Concerned for his colleagues, Shuker — a member of St. Dorothy Parish in Drexel Hill — reached out to CSS’s Family Service Center in Southwest Philadelphia. Administrator Lola DeCarlo-Coles arranged for a donation of diapers, and contacted NDS to request a delivery of staple foods: pasta, sauce, canned tuna, chili, beans, rice, stew, soups, pancake mix and other hearty items. Shuker and his team prepared bags of the canned and boxed goods, giving a set of each to the TSA staff. Several TSA workers have been particularly hard hit by the shutdown. At the Philadelphia airport, a number of married couples are employed by the agency, compounding the loss of household income. About one-third of the current work force was hired only within the last two to three years, and many are “just starting families, with no money in retirement and no time to save,” said Shuker. Even when paychecks arrive regularly, the $15-per-hour salaries often leave little margin for emergencies, Shuker added. “I only charge $10 for our Christmas party, but I don’t really sell any tickets between pays,” he said. According to MIT’s living wage calculator, the living wage for a single adult in the greater Philadelphia area is $12.17 per hour. But for an adult and one child, that figure more than doubles to $24.90. As a result, many families live just one paycheck away from serious financial difficulty. For that reason, NDS stands ready to assist in times of “chronic or acute hunger,” said Brooke Mullen, NDS’s assistant director of community relations. “We also anticipate an increase at our network of food cupboards throughout the five counties during this time, especially as individuals utilizing SNAP (the federal supplemental nutritional assistance program) aid run out of their benefits,” Mullen said. NDS’s 2018 numbers are being finalized, but in 2017 the agency provided over 2.6 million meals for more than 168,000 seniors, 305,000 adults, and 204,000 children. CSS assists more than 3,100 each day in the five-county Philadelphia area through a wide range of programs for the homeless and hungry, at-risk youth, single parents, families in need, immigrants and refugees, and those with intellectual disabilities. On Jan. 17, CSS dispatched several BenePhilly counselors — who specialize in connecting individuals with public benefits — to assist TSA workers in completing applications for SNAP, rental, mortgage and other forms of assistance. Shuker, who attended Blessed Virgin Mary School in Darby, is grateful for the church’s assistance during such a difficult time.